Any film with Audrey Totter is always worth seeing. I agree with you it could have been better but still enjoyable, especially that dramatic beginning with O'Brien having that operation to remove his criminal tendencies! Memory loss is always a good plot line. And ,yes, Audrey was rather wasted. 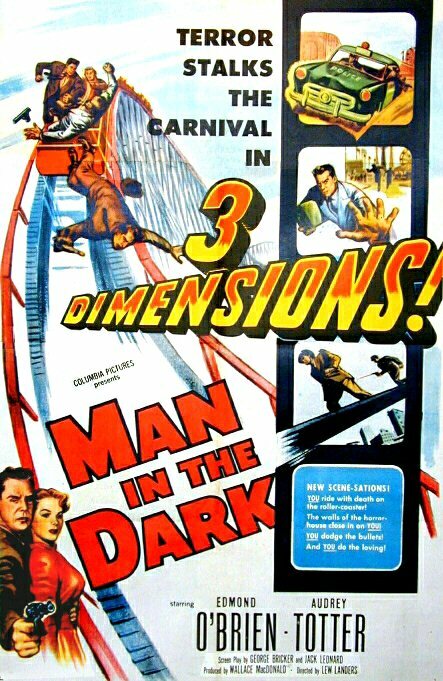 This mediocre film, probably because of the 3-D presentation, and Edmond O'Brien, had a first run New York opening. Not especially well received but did quite a bit of business for what it was. 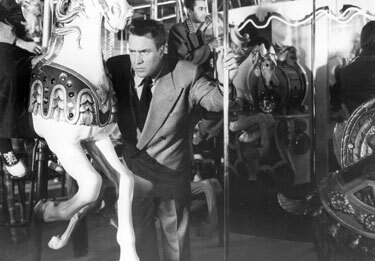 I really enjoyed Edmond O'Brien in D.O.A. 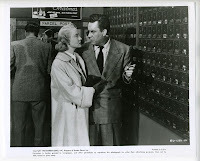 (1950), another '50s Noir so I'm wondering if I'll like this one despite the weak plot. I actually don't mind a weak plot sometimes. Sometimes I'm in it for the ambiance! I agree, Vienna, it's always worth checking out a film with Audrey Totter! Interesting to know this film had a first-run showing in NY, Barrylane. Thanks for the info. There's tons of ambiance in MAN IN THE DARK, Raquel, mostly in the last half which has such interesting location shooting. I also liked D.O.A. and particularly recommend O'Brien in 711 OCEAN DRIVE which was released the same year as D.O.A. 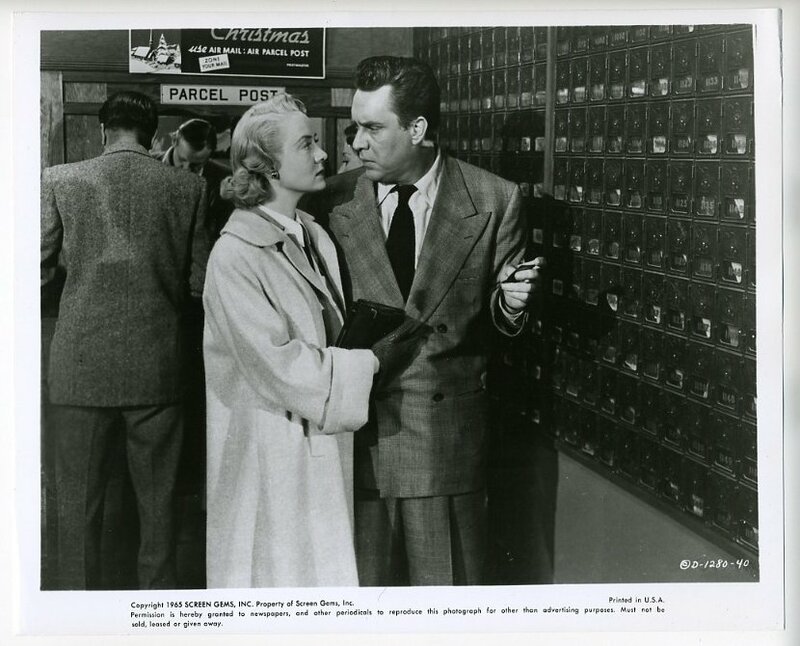 Any movie with Edmond O'Brien, Ted de Corsia and Audrey Totter can't be all bad.O'Brien& de Corsia were also both great OTR voices.De Corsia donated his body to medical science upon his death.And this movie is now out on DVD Blu-Ray in both &2D.